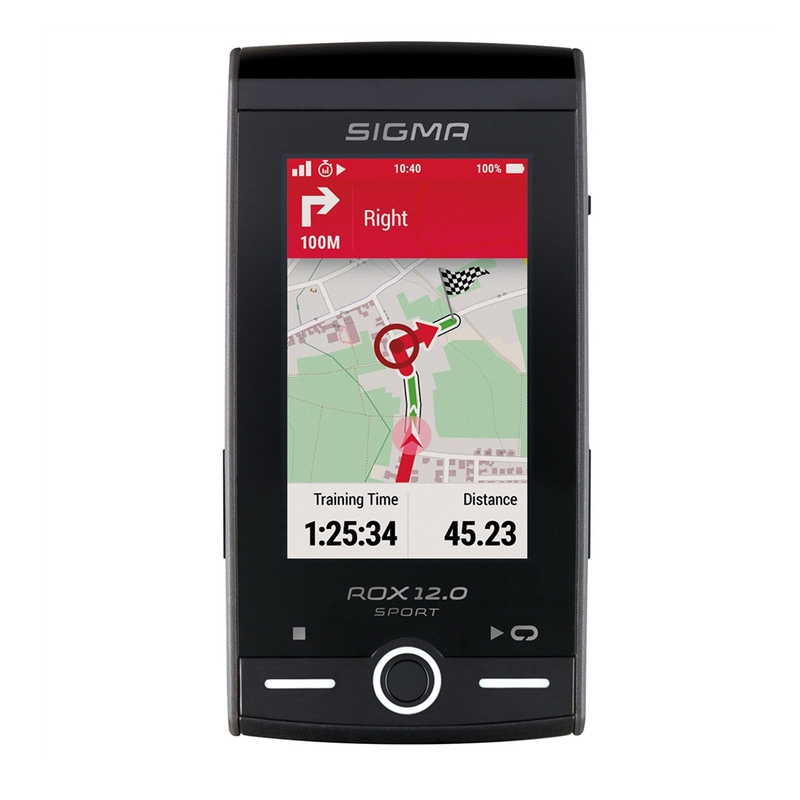 The ROX 12.0 brings navigation and training to a whole new level. 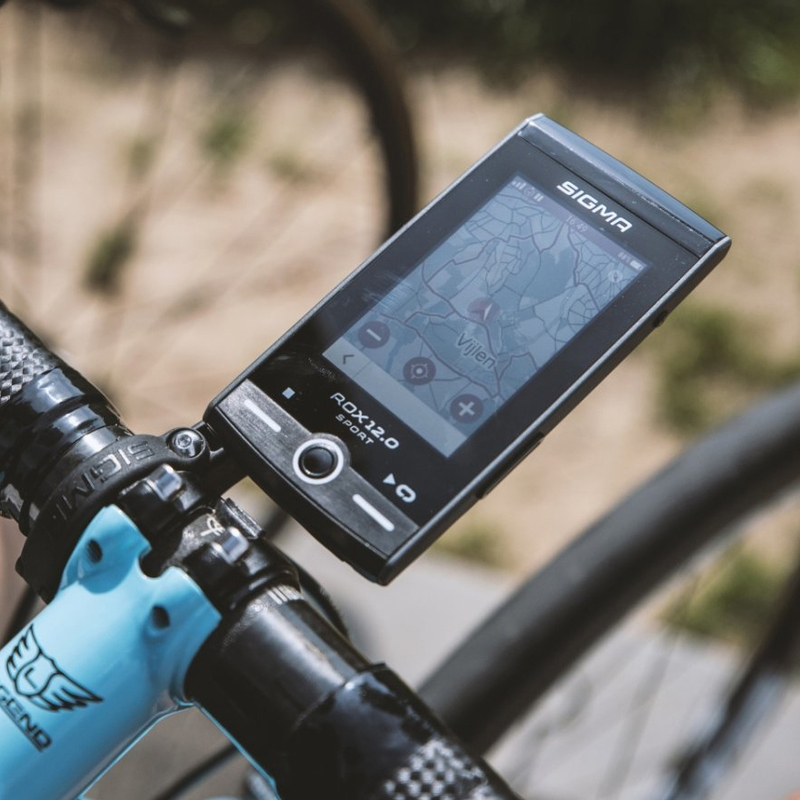 The GPS bike computer is loaded with new map functions, numerous training features and packed into powerful hardware. Explore the possibilities and discover the ROXstar in you! DRAW YOUR ROUTE A unique feature for the adventurous types. Explore new ways with the "Draw my Route" feature. 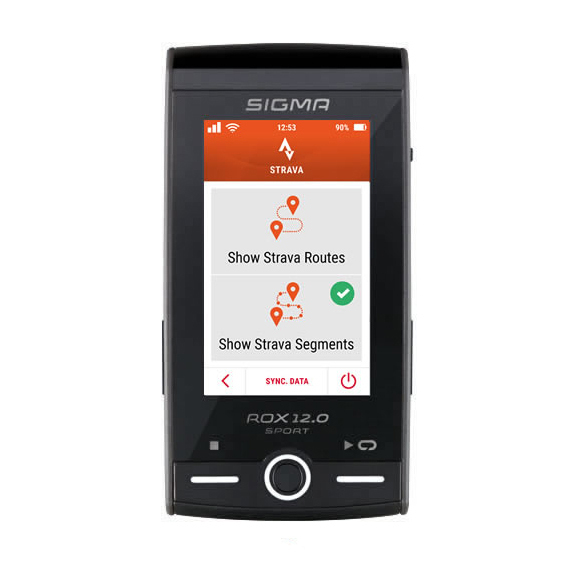 Simply draw one (or more) lines in the map and the ROX 12.0 will create a suggested route for you. Check it out and try something new! ONE TOUR, MANY POSSIBILITIES Plan your ride in different ways. Upload a route to your device or enter an address, a coordinate or a "point of interest" on the way. You can also add breaks when creating the route. VERY EASY TRACK LOADING How do you transfer a track to the ROX 12.0? Now its easier than ever before with built in WiFi! 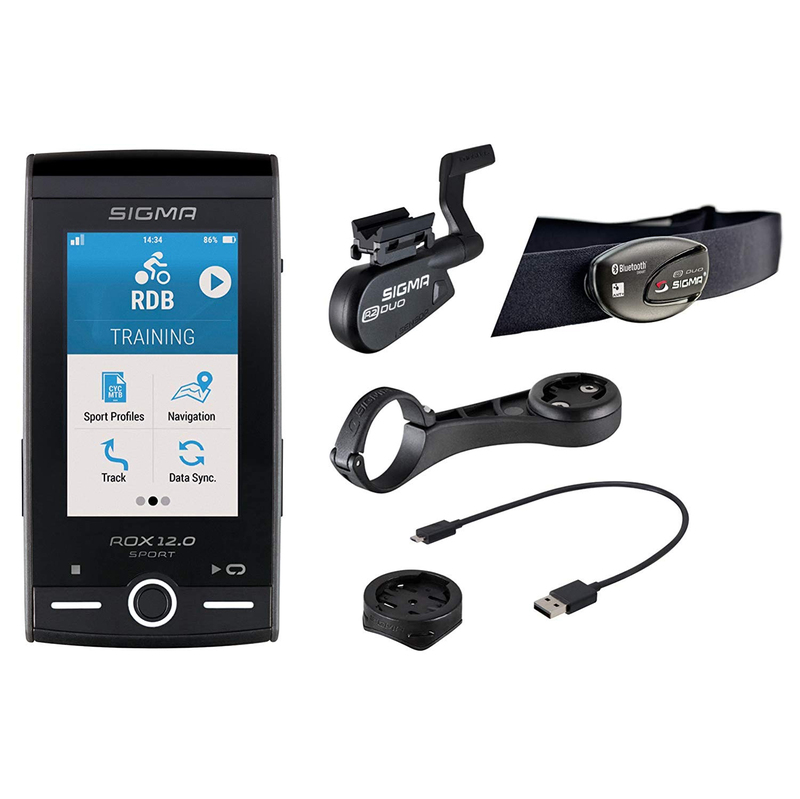 Transfer your planned route to the device either via USB or the Sigma Cloud. With WiFi connectivity, routes from GPS unites, Strava, and komoot can be synchronized directly. YOUR ROUTING You decide on the type and duration of the ride. You can choose between the easiest, recommended and shortest routes. Additionally, you can specify your route preferences (bike paths, roads, forest trails) for each sport profile that you create. MAP VIEW The map can be zoomed in or out in the training views. With a short tap the map view will change to the overview for 10 seconds. SPORT PROFILES The sport profiles can be used to define display and route preferences. Select one of the four preset sport profiles or create your own. Any number of additional profiles can be created and customized on the ROX 12.0 or in the DATA CENTER. You can also modify preferences any time, even during a ride. PERSONAL VIEWS The training view options on the ROX 12.0 give you maximum flexibility. Depending on how many values (1-10) you choose to display, you will get different layout suggestions. There are a total of 30 training views available. POWER METER FUNCTIONS In addition to displaying typical power meter functions, the TSS, NP and IF are also displayed. The ROX 12.0 also shows the OCA and OCP values from a Rotor 2INpower. You can view numeric values or a graphical representation. WORK OUT The ROX 12.0 enables you to create structured workouts. Customize your workout to help you prepare for your next athletic challenge. You can program several intervals. STRAVA LIVE SEGMENTS The user interface takes Strava Live segments to a whole new level. You decide whether you'd rather keep an eye on the route or your values, while challenging the KOM/QOM (King/Queen of Mountain)? Decide for yourself. DRINKING AND EATING TIMER The Drinking/Eating alarm helps you maintain energy during a race or ride. You can set the reminder according to your own needs, e.g. by distance, time or calorie consumption. Or create a custom alarm with your own text. 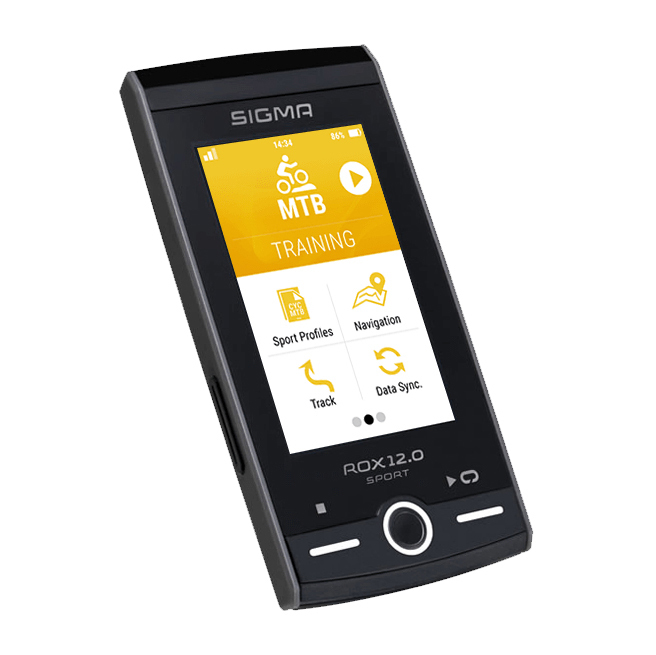 DETAILED EVALUATION Evaluate training data on your PC, Mac, tablet or smart phone anywhere and anytime with the SIGMA LINK app and the DATA CENTER. If you are connected to a memorized network, your data automatically transfers to the SIGMA CLOUD. You can also use your smart phone as a mobile hotspot. DIRECT EVALUATION Training data can be viewed from the "Memory" menu. This is especially handy for a quick snapshot. You can view training values, graphs and the map to analyze your ride. Look up "Total" to view which sport profile you use most often and "Personal Best" to see an overview of your top results.